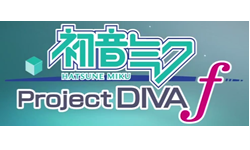 Sega is bringing Hatsune Miku: Project Diva F, the PlayStation Vita version of the recent PS3 Hatsune Miku, to PSN this March. This game will have totally separate trophies from the PS3 release and will have all of the original game's DLC available at launch. No pricing has been mentioned for the game or the DLC yet. I've only sampled the PS3 demo, but it was quite catchy. I'm looking forward to checking out the Vita version, as I feel like this game would be perfect in portable form.